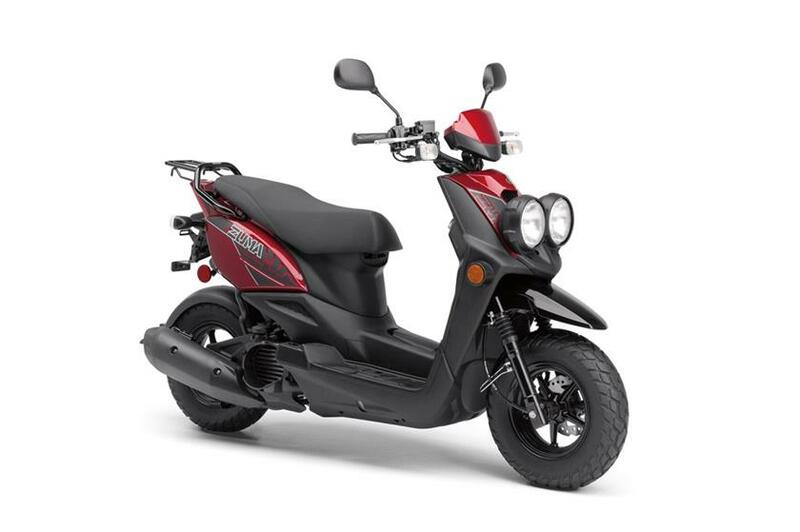 Ready for Fun Tough, yet sporty 4-stroke 49cc scooter makes going places fun, even commuting to work or school. Modern Powerplant Fuel injection provides smooth, seamless power – and nearly instantaneous starts. Dirt Bike-influenced Styling Sharp styling and twin headlights update the original “tough offroad” image of the Zuma 50F. Chunky, Aggressive Tires Fat tires give Zuma 50F that “go anywhere” look. Scooter Practicality Open and roomy ride atop the Zuma 50F’s stepped seat, along with lots of locking storage underneath it, with added conveniences like an inner pocket and fold-out hook. Awesomely Efficient The Zuma 50F achieves fuel economy up to an estimated 132 mpg** with a fuel tank that holds 1.2 gallons of gas.